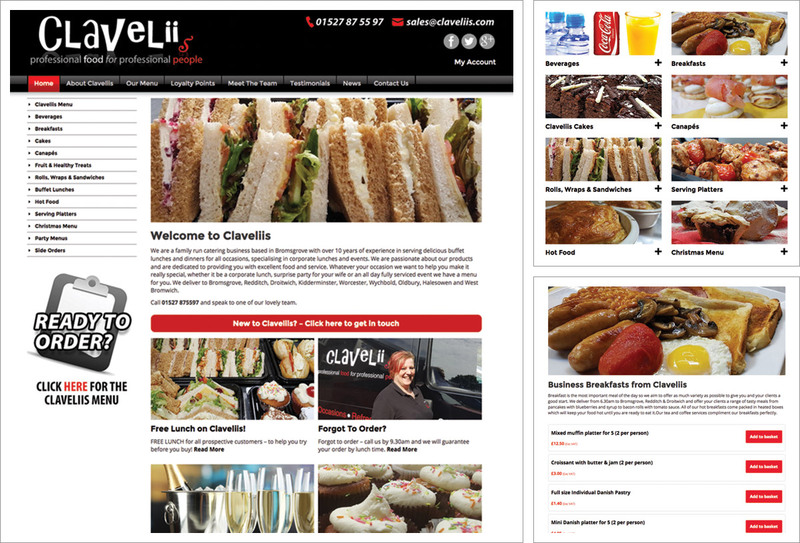 A mobile friendly / responsive website design for Bromsgrove based catering professionals, Claveliis. The new site looks simply delicious on desktops, laptops, tablets and mobile phones enabling customers the flexibility to browse and order their food on the go! Developed using WooCommerce the business owner has control and independence for adding new dishes to the menu and making website changes themselves. Customers can create an account and order online with order delivery date functionality allowing them to specify a date and time for their food to be delivered. Claveliis menus are displayed in categories with mouthwatering images, descriptions and prices. There is a latest news / blog section which allows Claveliis to report on events and happenings in the Claveliis kitchen. Please visit www.claveliis.com. Looks good enough to eat!